Love the beach but don’t want to fight crowds of out of town crazies for that perfect spot by the sea? Florida’s beaches aren’t all rowdy spring breakers and tourists. Canaveral National Seashore offers tranquil sand and sun, as well as a glimpse at Florida’s diverse coastal ecosystem. Not only do you get to enjoy the sun and sand just like any other Florida beach, but Canaveral offers miles of hiking trails that wind through coastal hammocks, pine flatwoods, marshes, mangroves, and along the beach. Not only can you sample the coastal terrain from the land by hiking, but also from the sea, whether you enjoy kayaking, surfing, or snorkeling. No matter how you wish to explore the area, you will notice a strong presence of sea life, including a large variety of coastal birds. 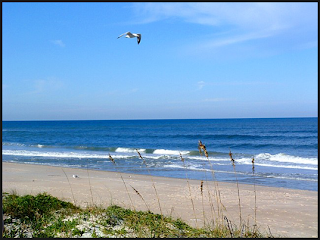 Home to gulls, sharks, dolphins, and the other stereotypical beach creatures, Canaveral National Seashore also holds a few oddball animals such as the fossil-like horseshoe crab and the delicate “angel wing” mollusk. One day is just not enough time for you at this local gem? The park also offers backcountry camping (permit needed) to satisfy your weekend needs. More information about the Seashore is available at nps.gov/cana, including special events and ranger led activities for the moderately adventurous. Explore Florida in its most pure state of being. Look beyond the sprawling suburban landscape we are all accustomed to and see our state for what it really is. 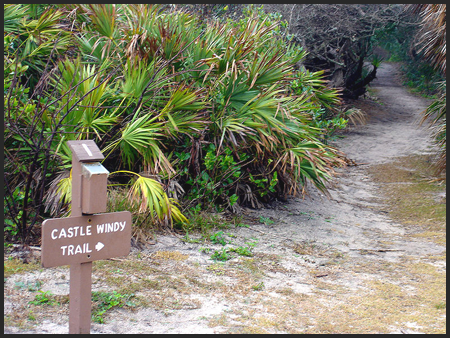 Check out Canaveral National Seashore next time you want a weekend getaway close to home.